Your Plate Has Been Smashed ! ! ! Football in Alabama (I am sorry to say sometimes) is one of the most passionate religions that we have to offer. When I moved to Houston to go to Bible College, I was quite curious as to how the folks in Texas would support their teams. I was able to find some support for the Oilers and Astros but it never reached the passion that I witnessed here for the fans of Auburn and Alabama. Furthermore, I found very little passion for the Longhorns, Aggies, or Baylor’s Bears exhibited by the Texans. This really surprised me coming from the neck of the woods that I hail from. 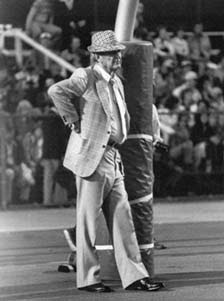 To this day, Alabama fans are still quite focused on the success of the long departed Coach “Bear” Bryant and his group of stars that played for him in the ‘60’s, 70’s, and early ‘80’s. While I am not an Alabama fan, I must confess that more than once I have been inspired by some of the biographies I have read about “The Bear.” From his early Kentucky days to his legendary rise with the Junction Boys at Texas A&M and then his incredible quarter of a century championship teams at Alabama, one cannot help but admire his success. As the two-a-days have finally come to an end for Alabama and Auburn, I am reminded of a story that I heard Kenny Stabler (a famous quarterback from ‘Bama) tell on a radio talk show a couple of years ago. He told about Coach Bryant recruiting him and one of his buddies from the Foley area. Both boys had been scouted out by some Mississippi teams but they really wanted to go to Tuscaloosa and play for the Bear. The Bear had an ability to pick out players who had a whole lot more heart than they did talent. He felt like if he could find men to play and coach for him who had heart, desire, and passion it would make up for any lack of talent on and off the field. He looked for character more than talent. He pushed education on these young recruits and told them that books were first and football was second. He was unimpressed with undisciplined talent as he would show with Joe Namath when he sat him down for late night carousing and skirt-chasing. He was not nearly as impressed with talent as with discipline and drive. Stabler said that when he and his buddy David Chapman left Foley for Tuscaloosa that Chapman’s dad had told his son, “Son, when you live today, I am smashing your dinner plate!” This lesson stuck in Chapman’s and Stabler’s head because both sets of parents had basically told the boys that when you leave home to go to Tuscaloosa to play, you are going to be champions. You cannot come home for any purpose at all. The bridges are burned and there is no margin for error or failure or to give up and quit. Stabler told about the freshman recruits being locked up in a gym that had no ventilation in the middle of August. One coach yelled, screamed, cajoled, intimidated, threatened, and terrorized those recruits for an hour every day. The gym was hot and smelled of sweat and vomit. Stabler said that there were two 55-gallon drums at each end of the gym that frequently had players bent over expelling breakfast or whatever meal had been most recent. Stabler told of the cramps, the pain, the intimidation by the coaches, and he also mentioned that some of the Crimson’s finest would be reduced to wretching sobs during the whole process. Stabler said it was nothing to be at a place of almost passing out and feeling like every muscle in your body was on fire. There were push-ups, sit-ups, sprints from one end of the hot gym to the other, and there were ropes that were hanging from the ceiling that they had to climb up and down. Not only was the pain physical but there was much mental duress associated with all of the “training.” Stabler said that it appeared to him and Chapman that the coaches were doing their best to make them quit. Not only did they have to endure the gym, there were the long practices where they would run one play over and over again under the critical eyes of the Bear. 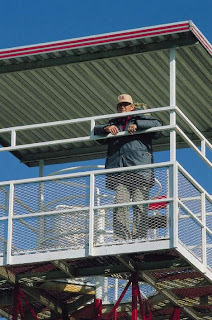 He was in a tower above the practice field and there were times that he would rage and yell and resort to other things and come tearing down the steps of the tower and race to the field in a dead run. He would run the team in wind sprints all the while seemingly trying to break them down. Running plays, passing plays, blocking drills, and all sorts of other demands were made on these young men. What they did not realize until later was that he was creating a championship team out of them. If the afternoon/evening practices did not go well, they would be forced back onto the field at 5 AM to do it all over again. Stabler said that there were many times that he felt like quitting and giving up and going home. But in the back of his mind was the fact that his parents had told him that his plate had been smashed at the kitchen table. To go home not only meant he had failed but the humiliation of not having a plate to eat from was something that drove him to physically and mentally condition himself to press on. I have been mulling that thought over today about plates being broken and bridges being burned and back-trails being covered up. There is no turning back in this battle of life and ministry! To turn back is going to bring incredible horror to your walk. No matter how hard the task at hand may be, you must keep going because your plate has been smashed. Failure is not an option. So if ministry on this day and in this season finds you facing the “gym” of pressure, conflict, or even temptation, remember your plate has been smashed! If your walk with God finds you in the midst of the tedium of the long “two-a-days” of routine, time constraints, and people pressure, remember your plate has been smashed and you cannot go back! If your courage is taking a beating from trying to memorize the “playbook” you cannot go back for your plate has been smashed! Don’t allow the consumer “worship” mentality rattle you into giving up, your plate has been smashed! Press on! Don’t let the spiritually dysfunctional people obscure your view of Scripture’s high calling for holiness and purity. Don’t fall for the perceived idea that you have to walk on the water to be successful in ministry. Keep your head up and your knee down! Your plate has been smashed and you cannot go backwards! All of these are nothing more than traps put in your path to make you turn back. . . but on today remember the concept of the shattered plate. . . . I grew up hearing many sermons and Bible studies on Revival through much of the late ‘70’s, ‘80’s, and ‘90’s. Those messages had much impact on me as a young man and then as a young preacher. Chiefly was the fact that when those messages had been preached there were long extended altar services following the messages. The altars would shore up the hunger that I felt for God and a desire to see the Kingdom of God press forward. Far too many times to count now were the times that I knelt at the wooden altars and many tears flowed not just from my eyes but from my soul. In addition to that there were some small rooms on either side of our platform that served as prayer rooms and often I would go there and allow God to add more to my life. As I get older there are moments of great reflection as to how those sorts of things took place in my life. One of the things was I had a pastor, Joe Patterson, who was hungry for our church to have revival and spiritual growth to take place in the lives of those to whom he was preaching to. Secondly, I grew up in a home that literally served as an incubator for spiritual things to take place in my life and my brother, Mark’s life. I have to confess that there are still times that I pour out my gratefulness to God for such blessings that came to me early in life. The reflection over time has given rise to my belief that the messages that we heard and the altar services that we were involved in were not so much about revival as they were hunger for God. When ministers and churches get hungry for God, the revival will take care of itself. When an insatiable hunger for God prevails in your life, prayer is of little effort as it will flow from a huge wellspring. Hunger for God also gives rise to evangelism because the closer to God that you are, the more willing you will be to reach out and witness to others the great impact of God in your life. Hunger for God gives way to sacrifice as one will be more willing to sacrifice his time, talents, and treasures for what God is calling him to do. I have found that a hunger for God will generally pull one more toward holiness and a desire for a clean heart and a right spirit. Back in the ‘70’s, Brother Patterson would go to a meeting in Jackson, Mississippi, called “Deeper Life.” In fact there are still some of those old cassettes lying around the church that have managed to survive 30+ years of storage. In the ‘70’s, Brother Patterson was bi-vocational and ran a backhoe sometimes up to 70 hours a week and on top of that he was in the process of building a home missions church. There wasn’t an expense account to pay for lodging and travel, he simply went out of the sacrifice of his own pocket because he felt it would benefit the church. In retrospect, I see the great value in all of this as every minister needs something coming into his life because of so much that is going out. I have only heard a few of the messages that were preached at “Deeper Life” but they always were those kinds of sermons that were spiritually probing and had a high call for commitment. That kind of preaching is in great necessity of reappearing in our generation, especially at the conference level. Time passed and for whatever reason (I am still unclear as to why) “Deeper Life” gave up the ghost. However in the early ‘80’s, Anthony Mangun and a few of his friends gave birth to Because of the Times. So with “Deeper Life” now deep-sixed, Brother Patterson started making the trek to Alexandria and he went to the first four or five of them by himself (except for once when he went with a neighboring pastor). Then in 1988, he invited me to go along with him. I made the first trip with Brother Patterson, my dad, and Richard West (now a pastor in Enterprise, AL) and have not missed one since 1988. Those messages that I heard in my early years at BOTT poured it out concerning prayer, evangelism, and revival. Sermon after sermon moved men deeply to pursue and hunger after God. I would sit with some of my friends and we would soak it in and honestly I think that all of us were hungrier for God to build something within us than to help us build a great church. More and more I am coming to discover that if God will build the man in the pulpit, the church will take care of itself. It is simply an outflow of His grace that brings any success at all. Significant during that time frame were all of the books that I had pushed in my direction by some thoughtful people. Brother Patterson pushed me in the direction of Leonard Ravenhill. I heard Sister Vesta Mangun mention A. W. Tozer and also Ravenhill. I did not have a book expense account (still don’t) at the time and had to make decisions about what I was going to do without to purchase those books. Whatever it was that I “sacrificed” at the time obviously pales in comparison to what I have gained from them. It is my thoughts to share with you some of those books. Sadly, this genre of books is almost extinct now in most Christian bookstores. Books that demand sacrifice, prayer, and transformation have given way to all types of self-help, your-best-life-now, monster-within, relationship-mending, fourteen-ways-to-create-spiritual-do-dads-in-your-life, six-steps-to-emotional-bonding-with-God stuff. If life-application books could only give way to the deeper things of God, spiritual life would flourish. Leonard Ravenhill -- He is not for the faint-hearted! In fact, recently a minister told me that he knew someone who would not read Ravenhill because he demanded so much change to occur in the spiritual life. Ravenhill will do this for you. It is becoming more and more difficult to find his probing writings but the man who can track them down will greatly value from them. 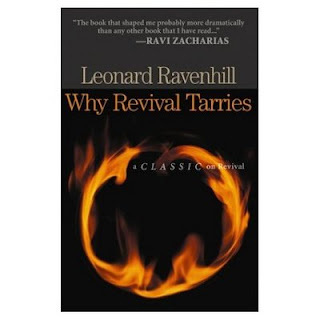 Why Revival Tarries -- This is probably Ravenhill’s best known work. It is loaded with some quotes at the beginning of each chapter that will strike fire in your soul immediately. In fact, there have been some of the quotes that have been leaping off points for sermons for me. Some of the chapter titles: With All Thy Getting, Get Unction; Prayer Grasps Eternity; Where are the Elijahs of God; Is Soul-Hot Preaching a Lost Art? ; The Prodigal Church in a Prodigal World; and Give Me Children or I Die. Sodom Had No Bible -- This would be the second most well known work of Ravenhill. It is also a very heart rending and yet soul building book. Some of the chapter titles: We Need A Baptism of Holy Anger; Pentecost At Any Cost; Why This Suffocating Indifference; No, No! It’s Not An Easy Road; and Spirit-Anointed Preaching. One of the most valuable assets in this book is the section that Ravenhill gives “portraits” of revival preachers. He writes of Francis Asbury, Billy Nicholson, Gideon Ousley, John Wesley and others. Revival Praying -- Another work that is geared toward the sacrifice of prayer that is required for revival to occur. The chapter, “The Prayer Chamber Our Mirror” is a very convicting chapter that will work like water priming a hand-pump well, it will put you on your knees. Other chapters: The Shame of Our Nakedness, Prayerlessness is Sin; The MUST of Prayer; There Were Giants In The Church; “I Say This To Your Shame,” and Sow in Prayer—Reap In Power, among others. Revival—God’s Way -- There is a painting in the front of this book entitled “The Sleeping Sentry” that shows a watchman on the wall that is asleep. His head is lying on the top of the wall and with his trumpet about to fall from his hand he is sleeping deeply. In the background, there is a huge army approaching the city and they will be destroyed because the sentry is asleep. When you mull that around in your mind, much serious contemplation is given to what you are doing with your ministry of being a watchman. Chapter Titles: We Are Still A Valley of Dry Bones; Growing Out of Spiritual Infancy; Have We No Tears for Revival? ; The Cost of Intercession; and We Plead or We Perish. 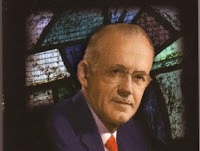 A. W. Tozer -- I was very struck by his book The Pursuit of God. This is probably his most famous book but it is just the tip of the iceberg to his thoughts. The chapters of this book are Following Hard After God; The Blessedness of Possessing Nothing; Removing the Veil; Apprehending God; The Universal Presence; The Speaking Voice; The Gaze of the Soul; and a few others. His other books are Men Who Met God; That Incredible Christian; Born After Midnight; The Root of the Righteous; Rut, Rot, or Revival; Man: The Dwelling Place of God; The Set of the Sail; and the two-volume Tozer Pulpit is also filled with some very good words concerning the press for Revival. Charles Finney -- Finney’s autobiography was one of the first books that I ever read when I first started preaching. I was greatly blessed to read of the conversion experience that happened in the life of the young lawyer. The more and more one reads of his writings, the more one realizes that there was a great depth of spiritual life present. Finney was instrumental in a number of revivals that shook entire towns during his times. E. M. Bounds -- His writings on prayer are very weighty but they will also press you into a place of prayer. I have mentioned him with some frequency in the past and will not belabor the point here. You simply must acquaint yourself with his writings on prayer and give yourself to this ministry. Wesley Duewel -- This is one of the accidental findings that I am thankful for. I first purchased Mighty Prevailing Prayer and found much fodder in it. He writes about fervency, desire, and importunity in prayer. This led to another book Revival Fire which is a composite of revival history primarily beginning with George Whitfield, the Wesleys, and concludes with Evan Roberts. Very good resource! I then ran across Touch the World Through Prayer and it was sub-par compared to Mighty Prevailing Prayer. There are some older writings that you may find beneficial in your quest and hunger for God. The publishers at Schmul Publishing which contains a lot of the old revival and holiness works that have been reprinted are some very good avenues to travel down also. 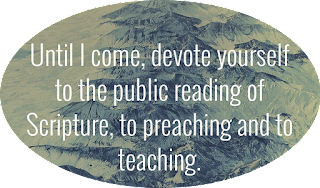 Other articles concerning books have been posted before on Sermon Preparation, Devotional Material, Personal Growth, and a long list by E. E. Jolley. Several months ago, I endeavored to spend a little time writing about the Emerging Church as it has been called by some in this generation. 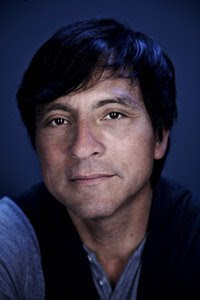 It is somewhat driven by a WASPish crowd of “enlightened” folks who are attempting to soften the Gospel into a socially acceptable “community” that is “inclusive” of every religion that has ever come down the pike. As I revisited some of the points in the earlier blogs (Part 1 & Part 2) I noted their doctrinal indifference, a false sense of humility, and the mockery of those who adhere to a strong message. Their doctrinal indifference completely waters down every major doctrine that is presented in the Bible which very much blurs the line of what it takes to be saved. Their false sense of humility seems to escalate into much sarcasm towards those who hold strong borders with the attitude of “how can you actually say you can proclaim the truth?” and “who are you to say you have the truth?”. Furthermore this false sense of humility endorses the idea that no one can really know what truth really is. Lastly, I brought to bear the fact that those who hold a strong doctrinal statement with an adherence to the truth are castigated as “Pharisees” because they preach an uncompromising and strong message. Their words always come cloaked in a strong dose of self-induced piety. With those points in mind there is another element that seems to be a battle cry (one of many) among the Emergents. It is “Sirs, we would see Jesus!” or “Just give us Jesus!” Then they clearly define which Jesus they want. They want the non-judgmental Jesus, the one who casts about with harlots, winos, and other societal misfits. They want the non-confrontational Jesus, the one who walks about and brings wine to weddings that have run dry. They want the non-conformist Jesus, who being environmentally conscious, retreats to places of prayer in grassy meadows and rocky wilderness crags. 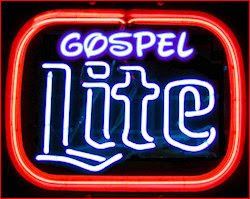 They want the Gospel Light, tastes great, less filling Jesus! What they are really asking for is a schizophrenic Jesus that is not dogmatic but instead ambiguous and hazy. Holiness, divine judgment, sinfulness of man, and sacrificial living are all tossed out and the social ills of man are picked up as the real needs of “fixing” the man. The Emergents think that if we pass out enough meals for the homeless, pay enough electricity bills for the destitute, give out sleeping bags to the sleepless around the underpasses, and get involved in some “eco-friendly, green” outlet that mankind will fare much better. In actuality, what all of this sort of social action does is enable those who seemingly are circling the drain for the last time. Sorry to seem so harsh but I spent 20 years in the medical field and ran practically the entire gamut of medical care and I quickly learned the drug seekers are not helped when you rubber stamp another prescription to help them get high. So suffice it to say that this kind of schizophrenic Jesus won’t work. In fact, it was never intended to work like this. Jesus Christ is transformational and He never leaves a man where He found him. A simple study in the Gospels will bear this out. But when you cannot put your trust in the authority of God’s word, much lesser substitutes will have to pass for the Gospel and revival. On the surface this may sound good but when I start poking and prodding at some (most?) of the things that Jesus said and begin to preach them, the concepts are entirely opposed to the modern world that I live in. When you begin to tell people who Jesus is, suddenly the Gospel becomes exclusive and confrontational. In fact, Jesus clearly stated “Marvel not that I said unto thee, Ye must be born again” (John 3:7). Jesus is stipulating that this is not even up for debate or consideration. This is doctrinal and cannot be altered by anyone who is honestly attempting to preach the gospel in its entirety. There are certain truths about Jesus Christ that are unchanging and inevitable. The fact remains that if you have the wrong thinking about Jesus it can send you to hell (Gal. 1:8). Statements of faith are about drawing borders, which means you have to load your weapons and place soldiers at those borders. You have to check people’s passports when they pass at those borders. It becomes an obsession—guarding the borders. That is simply not the ministry of Jesus. It wasn’t the ministry of Paul or Peter. It stated to become the ministry of the early Church, and it abated somewhere in the Middle Ages and blew back to life in the time of modernity. For the short duration of time that I have on this planet to do my best to partner with God and build his kingdom, I don’t want to spend it guarding borders. I’d like to spend it inviting people into the kingdom. Statements of faith don’t do this. They’re a modernistic endeavor that I’m not the least bit interested in. Jesus, Paul, and Peter all spent significant amounts of time with their “statements of faith” about what should be including in the Kingdom of God. Furthermore there are many examples biblically of the man whom God calls to serve in the role of watchmen, shepherd, and so on and all of these analogies demand that God’s man be a defender of the borders. Jones betrays himself terribly when he is asked if lesbian pastors and conservative purists can both be part of the emergent church. He answers, “We haven’t yet found that there’s anything that justifies us breaking fellowship with somebody else who loves and is trying to follow Jesus.” Now the moose really is on the table or the camel in the tent! Either way you define it, if this is the sort of Jesus the Emergents want to embrace, He has become emasculated and schizophrenic all at the same time! This is only the tip of the iceberg concerning the Emergents mentality about “just give us Jesus!” My only other point of advice is for the Emergents not to give their “Jesus” a dose of lithium because when they do, “Jesus” very well might wake up and become much more than they have bargained for.